We’ve all been there! Either the office has no heating whatsoever, or the ACs are always on the lowest temps or maybe you’re one of those people who feel the cold all the time. Whatever your temperate condition, here are some cool ways you can stay warm while still looking professional at work. It’s officially sweater weather! Wear them with pants, skirts or over dresses and you’re ready to go. Muted colors or eye-catching ones, thin or thick fabrics everything works this winter. Easily styled, sweaters are cute, comfy and will for sure keep you warm enough even in the freezing office cubicles. Opt for closed shoes instead of open-toed heels or strappy sandals. Save those for summers and remove out your boots and sandals that keep those toes toasty warm. Mules, Oxfords, Flats, Loafers, Sneakers the options are endless. And if you can pick out shoes that you can wear with socks or stockings/ tights then even better. Apart from the feet, your neck is very sensitive to cold and freezing temperatures, so wearing a scarf is going to keep you warm in your cold office. A silk scarf is easy to keep in your bag without wrinkling and only enhances your outfit for the day. Silk is especially great for wrapping around your neck because this fabric is thin and is able to trap the body heat. 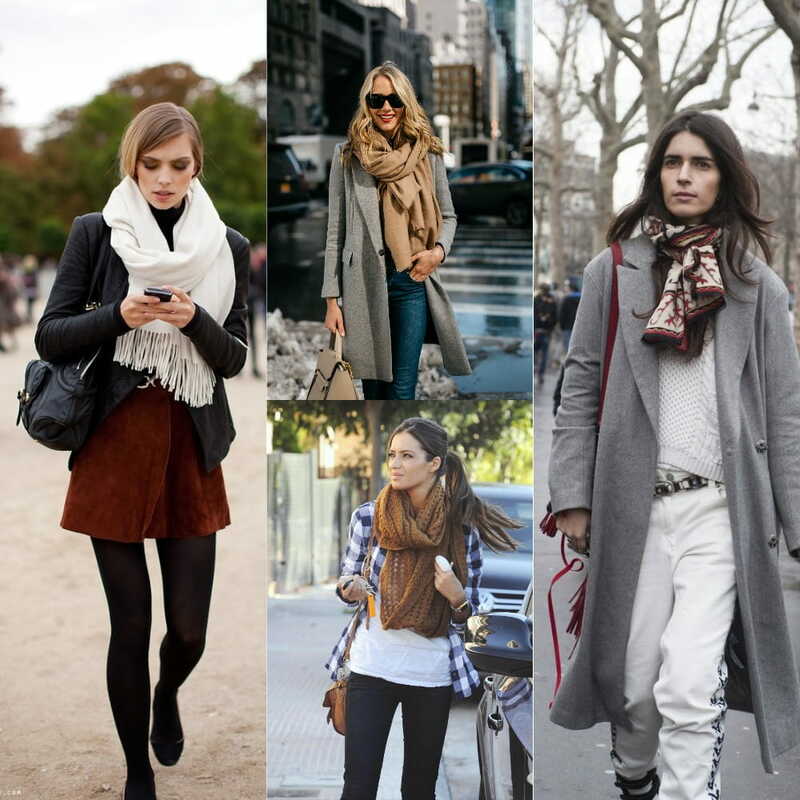 You can always opt for other materials like woolens, plaids or cotton scarves that match with the outfit.